Our Prodigy 6000 Vinyl Siding is designed to last. All-weather performance components deliver superior protection even in extreme conditions to last longer and lower your monthly energy bills. The 1-½ ‘’-thick EPS insulation foam beneath generates breathability while ensuring your home stays cool in warmer months and warm throughout the wintertime. Prodigy 6000 series is built with all weather conditions in mind. A one-piece contoured insulation system fastens to the siding panel to create a heavily resistant bond able to sustain even in hurricane-force winds. Furthermore, the interlocking panel structure creates a nearly indestructible outer shell for your home. Prodigy vinyl siding is available in over 20 different hues, each of which is manufactured with ChromaTrue® fade-resistant technology to maintain a fresh look and feel for years to come. Plus, maintenance is as simple as an occasional rinse with a garden hose, so you can enjoy a beautiful exterior with minimal effort. 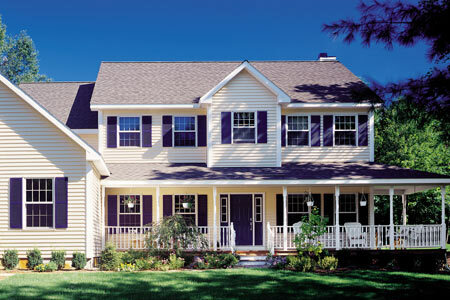 Is Prodigy Siding Right For Your Home?